Books vs Movies, Teen Proram. 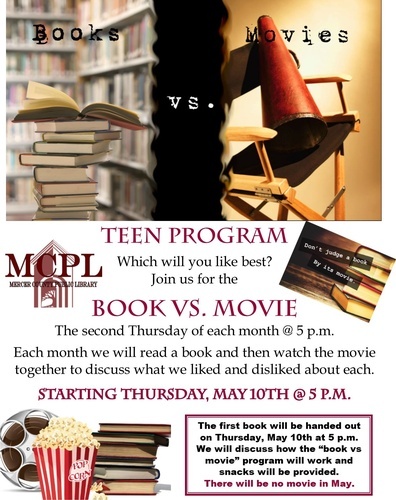 Each month we will read a book and then watch the movie togetherto discus what we liked and disliked about each. May 10, 2018 5:00 p.m.